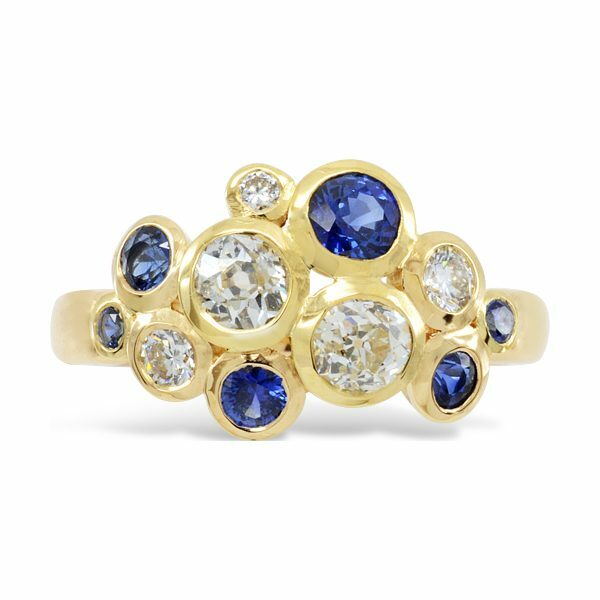 This Diamond Sapphire ring Features two 0.25ct diamonds (4mm) a 3.5mm Sapphire, two 3mm 0.10ct diamonds (3mm) two 3mm sapphires, one 2.6mm sapphire, two 2mm sapphires and one 0.06ct 2.5mm diamond. 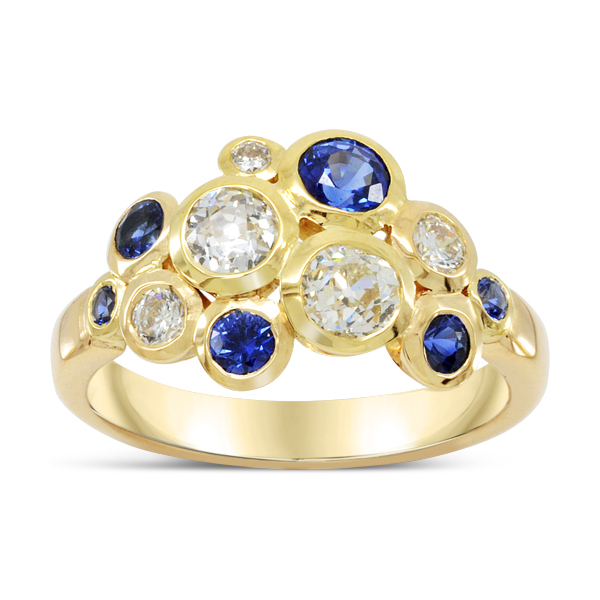 The total diamond carat weight is approximately 0.76ct with 0.5cts sapphires. We use Best quality Ceylon Sapphires and F colour (white) Vs clarity (no inclusions visible to the naked eye) grade diamonds. None of the stones are certified because they are too small but you will be able to tell from the finished look of the ring that the best quality materials have been used to Handmake it.